You must have heard the legend of Cleopatra and her affection for roses. Apparently, she loved the scent of roses so much that she would soak her ships in rose water so that her lover would know she’s coming long before he sees her because of the winds carrying the scent much faster. During the Middle Ages, a single rose would cost a small fortune because it was a symbol of wealth and respect among the people, so not a lot of people could’ve afforded it. After their usual bath, Roman girls would sprinkle themselves with dried rose leaves and put rose oil on their eyelids. So, it doesn’t surprise that the rose always had a high value and meaning. Rose is still considered to be one of the most beautiful flowers in the world. A lot of poets considered and celebrated its beauty and its scent so it was also used in medicinal purposes. 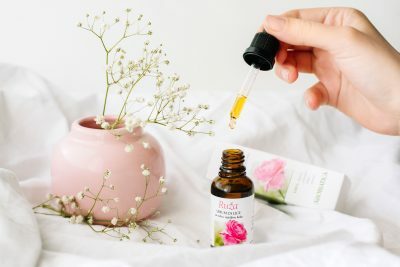 Even the old Greeks used it as a medicine, and roman poet Plinus named 32 ways that Roman people used rose as a medicinal good. 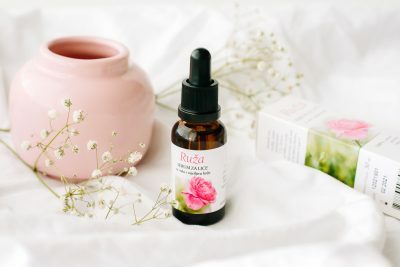 So it shouldn’t come as any surprise that we also use rose for skincare in a form of a ROSE SERUM. This natural luxury serum contains specially selected, cold pressed vegetable oil: rose hip oil, argan, jojoba, macadamia, hazelnut oil and pomegranate seed oil) which effects the deeper layer of skin. 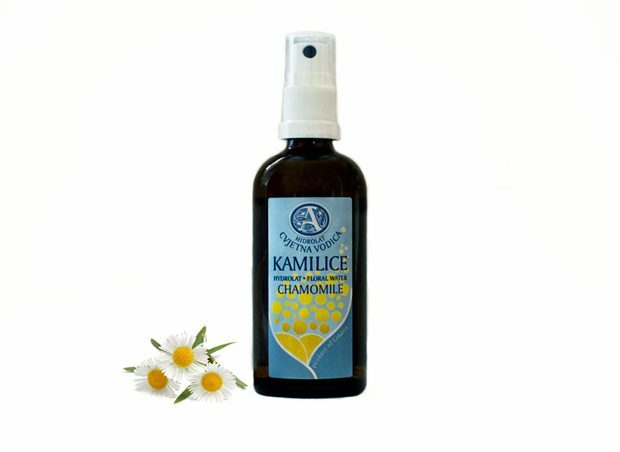 The strength comes from concentrated vegetable CO2, blueberry seeds, blackcurrant and seabackthorn berry oil , essential oil of Damask rose and E and F vitamins. 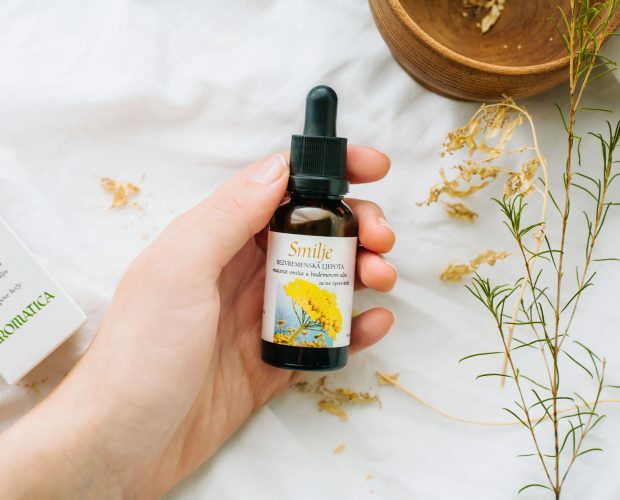 The flavorful richness of natural ingredients (we are especially proud of the fact that it’s 100% natural) and powerful antioxidants – transform this serum into a real help against the issues of dry skin and wrinkles. 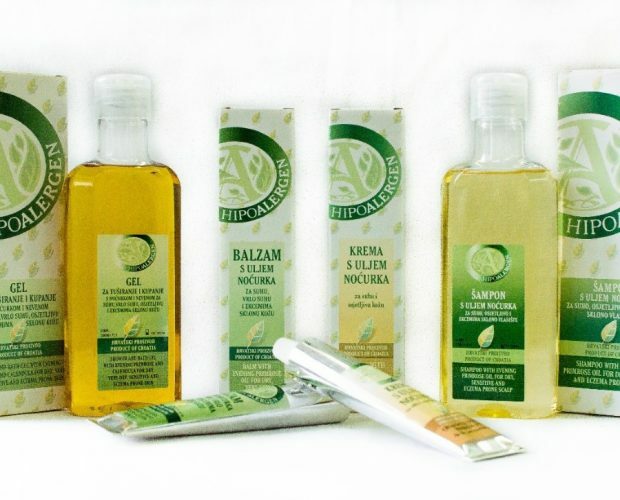 It nurtures, nourishes, moisturizes and rejuvenates dry and sensitive skin. Brings back its glory, pliability and youthful look. 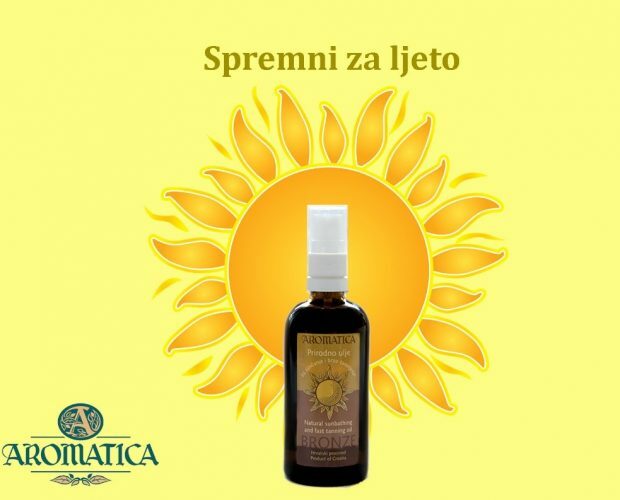 Although it works flawlessly by itself, our recommendation is to use it alongside ROSE CREAM (nurturing cream with invaluable Bulgarian rose oil) and/or, VITAMIN CREAM, lux daylight cream enriched with the seabackthorn berry oil, vitamins E and F and panthenol. Use of all our products is quite simple. Apply few drops of this ingredients filled elixir of youth, onto your previously damped and completely clear skin. 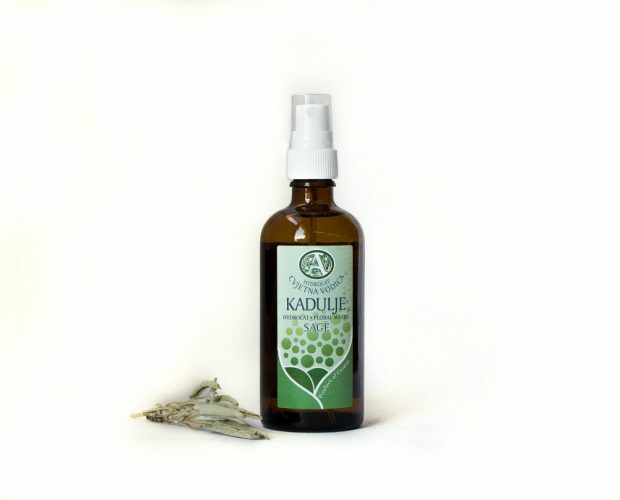 Massage the serum on your face, neck and chest in light and circular motions. If you are someone with fairly dry and mature skin, we advise you to use it twice a day – once in the morning, once in the evening. If your skin is maybe a little more sensitive, one application daily (whenever you want) will be just enough for your skin to feel taken care off. This serum does not contain any preservatives, mineral oil, synthetic fragrances or any other ingredients that could potentially be irritating for your skin. Roses were and forever will be a synonym for beauty, inner strength, femininity, sensitivity, passion… Thousands and thousands of years of adoration and admiration have established in our own subconscious, the meaning of rose, as an eternal symbol of beauty and youth. So don’t wait any longer! 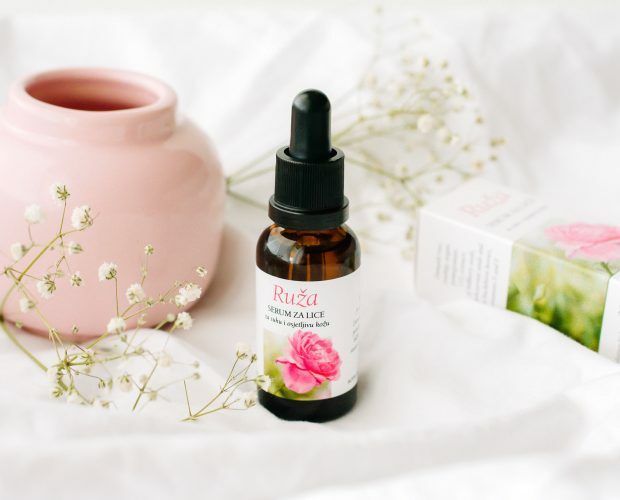 Add the powerful magic of rose into your daily routine and look as young as ever! We all look forward to the summer, sun and sea. But does our skin to? Feel the gentle petals of Bulgarian rose on your skin. 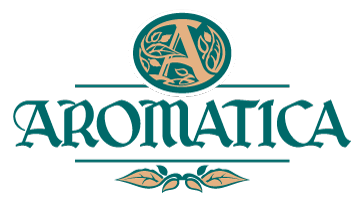 Atopic dermatitis is a genetically-conditioned, chronic, inflammatory skin disease characterized by skin dryness, itching and redness. Sage Salvia officinalis L., Lamiaceae has been known since ancient times and it has been used as a cure for many diseases. Salvia’s name originates from the word Salvare, which means to save or heal. 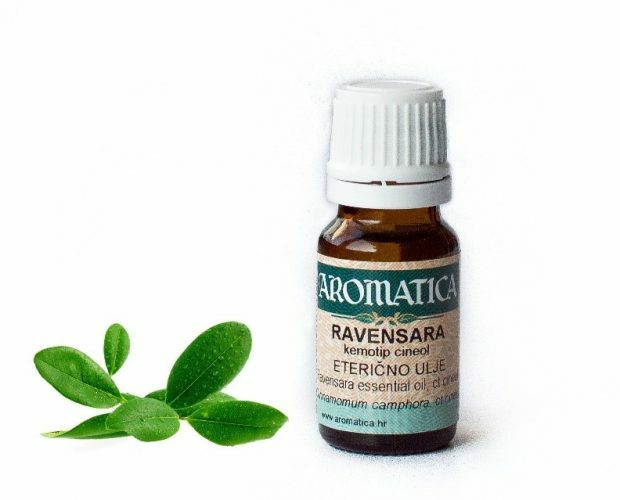 The Ravensare Essential Oil is obtained by distillation with a water steam from the leaves of the Asian camphor plant (Cinnamomum camphora (L.) J. Presl.) grows on Madagascar.